We love the NFL here at Like Buying Money & turned a very healthy profit overall on our bets last year with some particularly nice pickups in the touchdown scorers markets. We'll be blogging throughout the season with bets for each week's games but we'll begin with a preview of the NFC (National Football Conference) & their 16 teams that contain amongst them the last 3 Super Bowl champions in the New York Giants, Green Bay Packers & New Orleans Saints. Our preview of the AFC can be found here & if you aren't doing so already keep up with our updates throughout the season by following us on Twitter @likebuyingmoney by finding us on there or clicking the Follow button up above. The NFC East seems the logical conference to begin, as it is brutal! You've got Super Bowl champs the New York Giants in here plus the Philadelphia Eagles who have a roster stacked full of talent & the Dallas Cowboys who were arguably the best side to not make the playoffs last year. In addition to those three sides who would prove a match for anyone else in the league you've also got the Washington Redskins who although only ended up with a 5&9 season last year but 5 of their losses were by a touchdown or less & they've picked up a tremendously exciting talent through the draft in Robert Griffin III. RG3 as he's otherwise known is one of the brightest young quarterback prospects to have come through in years & could have propelled the Redskins to a winning season if it wasn't for such a tough schedule where the NFC East faces the AFC North (Pittsburgh, Baltimore, Cleveland & Cincinnatti) & the NFC South where the Falcons & Saints are tough foes. The Eagles are favourites to win the division & we can see why as on offense with quarterback Michael Vick is right up there with the very best players around & a top running back in LeSean McCoy who had a massive 20 TDs last year & good receivers in Maclin & DeSean Jackson. We do worry about Vick's durability though as he's only played a full 16 game season once in his 9 years in the NFL & he's likely to get hurt with the amount of rushing he does. The Eagles also have some top defensive players, especially their backs & Nnamdi Asomugha is one of the very best cornerbacks in the game, unfortunately the unit didn't really gel as a whole last year until the last few games. Due to there still being a slight uncertainty in their defense & Vick's robustness we can't advise a bet on them to win the NFC East at 9/5, the Cowboys could run them close but we've a feeling the Giants will slide. Thanks to topping the division last year the Giants have an even more punishing schedule than their divisional rivals as they have to play the other division winners from the NFC meaning the intimidating Packers & Falcons are added to their schedule, they travel to the Falcons & that will be tough as they are outstanding when in the Georgia Dome. The Giants undoubtedly have weapons on offense & defense with big playmaking receivers Hakeem Nicks & Like Buying Money favourite Victor Cruz worthy of particular mention, but they were only 7&7 two games before the end last year & had to win both to make the playoffs. At odds of 11/10 with Boylesports it's worth a bet that the Giants win less than 9 games this year in the regular season. We're loving the chances of the Atlanta Falcons in the NFC South even though the New Orleans Saints took it last year & we'll be going with them at 6/4 to win the division. The Falcons are a passing team with two top tier receivers in Roddy White & 2nd season rookie Julio Jones, Matt Ryan is a hell of a passer when getting into a rhythm & they should blow most teams away when at home in the Georgia Dome. They only lost once at home last year & that was to the Saints who had an outstanding 13&3 season to top the division but there has been huge controversy in the off-season for New Orleans with suspensions to their coaching staff & top linebacker Jonathan Vilma likely to see them deteriorate in 2012. As well as their passing attack the Falcons have a top running back in Michael Turner who has 50 rushing touchdowns in his four years in the side & he's got safe hands when going out of the backfield to make a reception too, really improving in that side of his game in the last two years. The offensive line of Atlanta is one of the best around, giving Matt Ryan time to pass & you shouldn't see him sacked too many times over the year. Their rush defense was impressive too last year (ranked 6th in yards given up) & they've looked to improve their pass defense by bringing in four time Pro Bowl selection Asante Samuel at cornerback & if he has a big season he could be pivotal in their quest for securing home field advantage in the playoffs. The Carolina Panthers & Tampa Bay Buccaneers are both open to improvement after losing seasons but the Buccaneers need to sort out their dreadful defense (draft pick Mark Barron at string safety was a positive move) & Josh Freeman needs to move on from a season where he threw 22 interceptions (2nd most in the league). Carolina meanwhile were hugely reliant on Steve Smith at receiver in the passing game last year but he's now 33 years old & can't keep going forever & they also need to improve their defense considerably to start challenging for a playoff spot. The Saints certainly have the talent to win the division again but having your head coach & other key members suspended for the year will be debilitating to the side in what is such a technical game, they'll compete on talent alone & put up plenty of yards through the air (Brees to Jimmy Graham will be a regular play again) but we have to push Atlanta ahead of them here. The NFC North is another division with plenty of depth with the Green Bay Packers, Chicago Bears & Detroit Lions all teams with the ability to progress through the playoffs if getting there, only the Vikings can be confidently ruled out here & they're in for another season of struggle after finishing 3&13 in 2011. The Packers are strong favourites to win the division at 1/2 & that's fair considering they lost just one regular season game last year & completed a clean sweep v their divisional rivals but it isn't a price we want to take on a season long bet. The Detroit Lions had young quarterback Matthew Stafford announce himself to the league last year as he went pass crazy attempting 47 more passes than anyone else in the league & being 5th most accurate whilst becoming just the 5th to throw for over 5,000 yards in NFL history. The 5,000+ yards is watered down a little thanks to two other passers also managing it in the year (indicating what a passing game it has become) but it was still an impressive year & he threw 25 more TDs (41) than interceptions (16), of course it helps when you have 'Megatron' Calvin Johnson at receiver. Johnson was dominant last year & is for our money the very best in the league, he averaged over 105 receiving yards per game & hauled in 16 touchdowns even whilst being double covered in many games, he's basically impossible to shutdown without risking pass interference calls, he'll have another huge season but is probably too short at around 4/1 to be the leading receiver in yards gained when you see some of the defenses the Lions are facing this year. The Lions defense is pretty scary too & has another of our favourites on board in the violently brilliant Ndamukong Suh, he was the 2nd overall pick in the 2010 draft & has proven his worth & is arguably just about the best defensive tackle in the game in between stomping on people by "accident". If they could somehow secure home field advantage we reckon they could make a push for the Super Bowl, unfortunately this division is just too competitive & they'll instead have to be happy if they can get a playoff spot. The Chicago Bears are no fools either & have an excellent defense led by the indefatigable linebacker Brian Urlacher & top defensive end & sack machine Julius Peppers, teams basically can't run the ball against the Bears but their defensie nve backs are still a vulnerability when the pass rush doesn't get to the quarterback. The Bears were unfortunate last year when suffering injuries to quarterback Jay Cutler & running back Matt Forte when looking good for a playoff spot only to then lose 5 in a row & finishing with an 8&8 year. Chicago have every chance of playoff action this year but keeping their best offensive player Matt Forte fit is imperative, he's a very good rusher but also offers the best receiving threat in his position in the league & has had 50+ receptions in all 4 of his seasons, the Bears have upgraded at receiver (they needed to) by bringing in Brandon Marshall but Forte will still get an awful lot of calls. The Bears don't have too horrible a schedule as they only finished 3rd in the division last year & we can see 9 games we'd strongly expect them to win outside of their 4 matches with the Packers & Lions so going for Betfred's offer of 11/10 about over 9.5 Bears regular season wins is a bet we like. Of course after three competitive divisions we come to the rather light on talent NFC West, the San Francisco 49ers walked this last year with 13 wins & the league's meanest run defense & we can't see any of the other three limited teams making a push to take top spot here. The Arizona Cardinals ended with an 8&8 season last time but it won't be easy to end up with as good a record this time around with a pretty tough schedule thanks to finishing 2nd in the division last year. The Cardinals do have a decent running back in Beanie Wells, although he needs to be kept fit, & an outstanding playmaker in receiver Larry Fitzgerald, unfortunately they don't have too much else on the offensive side of the ball unless some players step up, maybe at receiver Andre Roberts can improve & 1st round draft pick Michael Floyd is certainly a talent. On defense the Cards are solid enough but don't tend to make too many big plays, they had just 10 interceptions last year & Richard Marshall who had 3 has moved to the Dolphins, linebacker Daryl Washington stepped up from his rookie year in 2011 with 5 sacks & two picks & they'll look for him to lead again. Patrick Peterson is one of the league's best young talents at cornerback & if they get their defensive talent going the Cardinals could upset a few teams, they will need to though as they're one of the very weaakest in the quarterback position with young John Skelton being given the starting spot even though he's had poor passer ratings of 62.3 & 68.9 in his two seasons in the league. The St Louis Rams who are appearing London this year) ended up with the joint worst record last year when they registered just two wins & failed to get a divisional win, they are being tipped by many to improve & they seem to have some decent individuals on the roster but they haven't had a winning record since 2003 & won't get one this year. The Rams offensive line is dreadful & let quarterback Sam Bradford get hit too many times last year, until the pass protection improves & they get a significant upgrade to their receiving corps they'll struggle in the passing game (ranked 30th of 32 last year in yards gained through air). 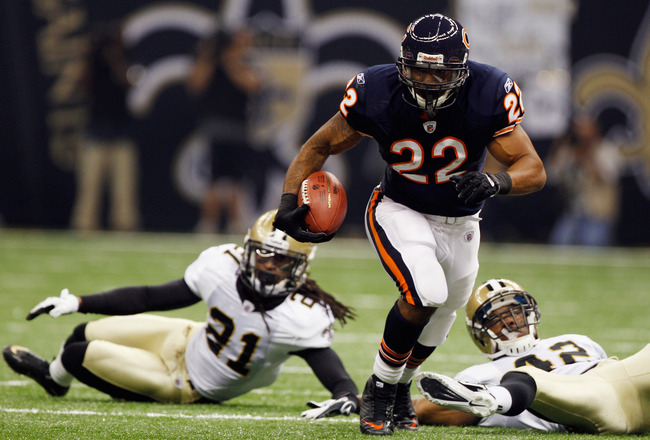 Their defense isn't too bad against the pass but can't stop the run & they ranked 31st in yards conceded in 2011, on the other side of the ball Steven Jackson is a top rusher & has gained at least 1,000 yards on the ground in the last 7 seasons, he will be their key player again. It may just be that the Rams can move past the Seahawks this season as they are taking a huge risk by having 3rd round draft pick Russell Wilson as their starting quarterback. Seattle ranked 21st on the run & 22nd passing last year but we can only see them falling down the order in passing & it remains to be seen whether Marshawn Lynch can be quite as productive (& healthy) at running back this year. The Seahawks defense is just average & if their offense ends up turning the ball over & punting away more often we can see them really taking a beating this year & could slip back from the 7 wins they gained in 2011. 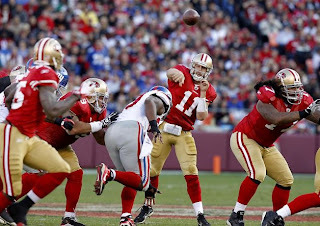 The 49ers made it to the NFC Championship game & only lost in overtime against the Giants last year & you'd have to say they look to have made good signings in the correct positions this year & we're liking their chances of getting to the Super Bowl this time around. 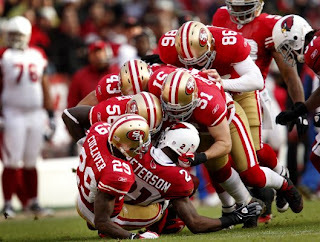 The 49ers are basically impossible to run against & were only conceding 77 yards on the ground last year & only ranked 17th in passing yards conceded because teams had to air it out, they did gain a joint 2nd best 23 interceptions though & 42 sacks on top of that, there's no reason to think the defense has regressed & they'll dominate plenty of offenses again. The 49ers certainly don't have the best quarterback in the league in Alex Smith but he is a very good game manager & recognises his limitations & threw a league low 5 picks last year. Smith didn't have too many options to pass to last year with only Michael Crabtree of note at receiver but Vernon Davis was excellent at tight end & ended with 792 yards & 6 TDs, they were the only receivers to get more than 20 receptions but San Francisco have looked to improve there. 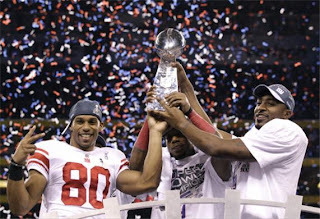 In the off season the 49ers picked up Mario Manningham from the Giants, A.J. Jenkins in the 1st round of the draft & one year retiree & NFL legend Randy Moss all at the receiver position & if they can pick up more yards through the air they could be scary good. At running back the 49ers are rock solid with Frank Gore able to break off big runs & pound it in around the goal line & he's got the youngster Kendall Hunter to provide relief & competition. San Francisco should dominate this division & may gain home field advantage again, they've improved & odds of 7/1 about them winning the NFC & making the Super Bowl are ones we advise taking. Toon Army versus Canaries? It hardly seems fair!